The curtain falls on the 2018 Formula 1 season this weekend and much of the focus will be on two-time world champion Fernando Alonso, who bows out of the sport after the final race of the campaign. With Lewis Hamilton having comfortably secured his fifth world title in Mexico last month, and sealing the Constructors’ Championship for Mercedes in Brazil last time out, there is little to play for in the season finale. But try telling that to 2005 and 2006 world champion Alonso, a naturally gifted driver who since 2010 has been hamstrung by poorly manufactured models from F1 heavyweights Ferrari and more recently McLaren, having won his two titles with Renault. Saying that, Alonso gives the impression he believes he has achieved all he can in F1, but there’s no doubt his legions of fans would love nothing more than to see him bow out on some sort of high. "It's not because I am not winning here,” Alonso told ESPN when explaining his decision to leave F1. "I could sign for a competitive team next year, maybe not the top two, but maybe the third one. But I say no because I arrived in F1 17 years ago and I have won two world championships. "I have won more races than what I dreamed of when I came here and this part of my career is done – it was a success. I have ticked the box. I need to go for another tick and find another box to fill. That's the only reason." The ‘box’ the Spaniard is referring to is the Indy 500. Having already won Le Mans 24 Hours plus the Monaco GP, Alonso wants to become the first man since Graham Hill to triumph in the three most prestigious races in motorsport. Before that, though, he will part ways with F1, although his hopes of a fitting farewell are somewhat slim. Forget about backing Alonso to actually win the race. Even at 3000/1 with Bet365, it’s not worth a penny, especially as his McLaren team are 4/1 favourites to suffer the first retirement of the race. A podium finish is pretty much out of the question too at 225/1 with Paddy Power, but Alonso should at least be able to wave goodbye to the crowd from his cockpit as he’s odds-on (2/5) to finish the race. There are other ways Alonso can finish on a high, though, with a points finish or indeed a top six not entirely out of reach, as outlined in the table below. 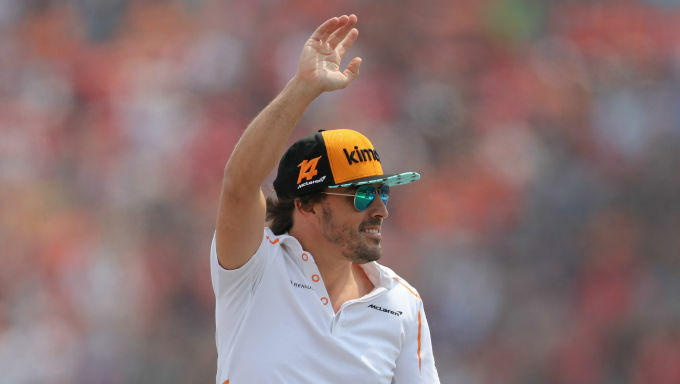 There is a small case for backing Alonso to finish in the points, as his McLaren team – to whom he has been so loyal across two stints despite underperforming cars – owe it to the 37-year-old veteran to have his car set up as good as it can be. The best bookmakers are not convinced though, with Bet365, Betfair and Paddy Power all making Alonso the most likely driver not to finish the race in Abu Dhabi at odds of 7/4, such has been McLaren’s unreliability this season. Whatever the outcome of his F1 sign-off, he’ll surely be among the favourites by the time his next motorsport challenge comes about next May. Aside from the Alonso sideshow, there’s a race to be won, and when eyeing up the race winner markets there’s a name that stands out if seeking the best value. It’s Valtteri Bottas. Although overshadowed by his team-mate Hamilton’s ruthless form in the latter stages of the 2018 calendar, Bottas can take confidence from last year’s Abu Dhabi GP outcome. The flying Finn put in arguably his career-best performance at the Yas Marina Circuit in 2017, securing pole position, fastest lap and race win – known as Formula 1’s hat-trick. He was the 45th driver to achieve that feat in the history of the sport, and the third from Finland following former world champions Mika Hakkinen – who completed five career hat-tricks – and Kimi Raikkonen. Naturally, Bottas has Hamilton (5/2 with Bet365) and Sebastian Vettel (6/4 with Ladbrokes) ahead of him in the betting, but William Hill’s price of 13/2 on Bottas looks huge and shrewder punters might even take up their each-way terms – a third of the odds for places one and two. If you’re reading before practice and qualifying have taken place, William Hill also offer an inviting 6/1 on Bottas to be the fastest qualifier. Another hat-trick this year is a bit much to ask of the Finn, especially as Ferrari are race favourites, but perhaps the best value on Bottas is to back him to set the fastest lap again – take Paddy Power’s odds of 13/5 for history to repeat itself. Meanwhile, betting has already opened on next season’s Drivers’ Championship and, unsurprisingly, Hamilton heads the market at a best price of even-money (1/1) with Bet365 and William Hill. Despite his relatively limp fight in 2018, Vettel is again expected to be Hamilton’s main challenger at around 7/2, though punters may prefer the extra value in fiery upcomer Max Verstappen. The Red Bull youngster is available at a best price of 6/1 with Betfair.